2016 CERTIFIED PRE-OWNED READY Mazda Mazda3 i Sport Jet Black Mica 4D Sedan SKYACTIV®-G 2.0L 4-Cylinder DOHC 16V FWD 30/41 City/Highway MPG Certified Mazda Vehicle Inspection, One-Owner, Non-Smoker, Clean Vehicle History Report, Recent Trade-In, Low Miles, *Blind Spot Technology - Never Worry When Changing Lanes Again!, *Rear View Back-Up Camera!, 4D Sedan, SKYACTIV®-G 2.0L 4-Cylinder DOHC 16V, Jet Black Mica, 16" Alloy Wheels, 4-Wheel Disc Brakes, Automatic On/Off Headlights, Blind Spot Monitor w/Rear Cross Traffic Alert, Exterior Parking Camera Rear, Illuminated entry, Low tire pressure warning, Outside temperature display, Panic alarm, Rain-Sensing Windshield Wipers, Remote keyless entry, Speed control, Steering wheel mounted audio controls, Telescoping steering wheel. CARFAX One-Owner. Clean CARFAX. KBB Fair Market Range High: $13,992 http://www.kbbreport.com/fbise Awards: * 2016 KBB.com 10 Best Sedans Under $25,000 Reviews: * Precise handling when going around turns; very good fuel economy; quick acceleration; top crash test scores; refined interior with intuitive controls; available hatchback body style; many advanced features are available. Source: Edmunds Mazda Certified Pre-Owned means you not only get the reassurance of a 12mo/12,000 mile Limited Warranty, and up to a 7-Year/100,000 mile Limited Powertrain Warranty, but also a 150-point inspection/reconditioning, 24/7 roadside assistance, and a complete CARFAX vehicle history report. 2016 CERTIFIED PRE-OWNED READY Mazda3 i Sport Snowflake White Pearl Mica 4D Hatchback SKYACTIV®-G 2.0L 4-Cylinder DOHC 16V FWD 30/40 City/Highway MPG Certified Mazda Vehicle Inspection, One-Owner, Non-Smoker, Clean Vehicle History Report, Recent Trade-In, Mazda3 i Sport, 4D Hatchback, SKYACTIV®-G 2.0L 4-Cylinder DOHC 16V, FWD, Black w/Cloth Seat Trim or Premium Cloth Seats, 4-Wheel Disc Brakes, Exterior Parking Camera Rear, Illuminated entry, Low tire pressure warning, Outside temperature display, Panic alarm, Remote keyless entry, Speed control, Spoiler, Steering wheel mounted audio controls, Telescoping steering wheel, Tilt steering wheel, Variably intermittent wipers. CARFAX One-Owner. Clean CARFAX. KBB Fair Market Range High: $13,050 http://www.kbbreport.com/rzn0g Awards: * 2016 KBB.com 10 Best Sedans Under $25,000 Reviews: * Precise handling when going around turns; very good fuel economy; quick acceleration; top crash test scores; refined interior with intuitive controls; available hatchback body style; many advanced features are available. Source: Edmunds Mazda Certified Pre-Owned means you not only get the reassurance of a 12mo/12,000 mile Limited Warranty, and up to a 7-Year/100,000 mile Limited Powertrain Warranty, but also a 150-point inspection/reconditioning, 24/7 roadside assistance, and a complete CARFAX vehicle history report. 2016 CERTIFIED PRE-OWNED READY Mazda Mazda3 i Sport Odometer is 24174 miles below market average! Deep Crystal Blue Mica 4D Sedan SKYACTIV®-G 2.0L 4-Cylinder DOHC 16V FWD 29/41 City/Highway MPG Certified Mazda Vehicle Inspection, One-Owner, Clean Vehicle History Report, Recent Trade-In, Low Miles, Mazda3 i Sport, 4D Sedan, SKYACTIV®-G 2.0L 4-Cylinder DOHC 16V, 6-Speed Manual, FWD, Deep Crystal Blue Mica, Black w/Premium Cloth Seat Trim, 4-Wheel Disc Brakes, Exterior Parking Camera Rear, Illuminated entry, Low tire pressure warning, Outside temperature display, Panic alarm, Remote keyless entry, Speed control, Steering wheel mounted audio controls, Telescoping steering wheel, Tilt steering wheel, Variably intermittent wipers. CARFAX One-Owner. KBB Fair Market Range High: $14,325 http://www.kbbreport.com/2vot4 Awards: * 2016 KBB.com 10 Best Sedans Under $25,000 Reviews: * Precise handling when going around turns; very good fuel economy; quick acceleration; top crash test scores; refined interior with intuitive controls; available hatchback body style; many advanced features are available. Source: Edmunds Mazda Certified Pre-Owned means you not only get the reassurance of a 12mo/12,000 mile Limited Warranty, and up to a 7-Year/100,000 mile Limited Powertrain Warranty, but also a 150-point inspection/reconditioning, 24/7 roadside assistance, and a complete CARFAX vehicle history report. 2016 CERTIFIED PRE-OWNED READY Mazda3 i Sport Snowflake White Pearl Mica 4D Sedan SKYACTIV®-G 2.0L 4-Cylinder DOHC 16V FWD 30/41 City/Highway MPG Fresh Detail, Certified Mazda Vehicle Inspection, One-Owner, Clean Vehicle History Report, Recent Trade-In, Low Miles, Mazda3 i Sport, 4D Sedan, SKYACTIV®-G 2.0L 4-Cylinder DOHC 16V, FWD, Black w/Cloth Seat Trim or Premium Cloth Seats, 4-Wheel Disc Brakes, Exterior Parking Camera Rear, Front Center Armrest, Illuminated entry, Low tire pressure warning, Panic alarm, Remote keyless entry, Speed control, Steering wheel mounted audio controls, Telescoping steering wheel, Tilt steering wheel, Variably intermittent wipers. CARFAX One-Owner. Clean CARFAX. KBB Fair Market Range High: $14,629 http://www.kbbreport.com/m5e01 Awards: * 2016 KBB.com 10 Best Sedans Under $25,000 Reviews: * Precise handling when going around turns; very good fuel economy; quick acceleration; top crash test scores; refined interior with intuitive controls; available hatchback body style; many advanced features are available. Source: Edmunds Mazda Certified Pre-Owned means you not only get the reassurance of a 12mo/12,000 mile Limited Warranty, and up to a 7-Year/100,000 mile Limited Powertrain Warranty, but also a 150-point inspection/reconditioning, 24/7 roadside assistance, and a complete CARFAX vehicle history report. 2016 CERTIFIED PRE-OWNED READY Mazda3 i Sport Soul Red Metallic 4D Sedan SKYACTIV®-G 2.0L 4-Cylinder DOHC 16V FWD 30/41 City/Highway MPG Certified Mazda Vehicle Inspection, One-Owner, Clean Vehicle History Report, Recent Trade-In, Low Miles, *Rear View Back-Up Camera!, Mazda3 i Sport, 4D Sedan, SKYACTIV®-G 2.0L 4-Cylinder DOHC 16V, 6-Speed Automatic, FWD, Black w/Cloth Seat Trim or Premium Cloth Seats, 4-Wheel Disc Brakes, Exterior Parking Camera Rear, Illuminated entry, Low tire pressure warning, Outside temperature display, Panic alarm, Remote keyless entry, Speed control, Steering wheel mounted audio controls, Telescoping steering wheel, Tilt steering wheel, Variably intermittent wipers. CARFAX One-Owner. Clean CARFAX. KBB Fair Market Range High: $14,630 http://www.kbbreport.com/8vczd Awards: * 2016 KBB.com 10 Best Sedans Under $25,000 Reviews: * Precise handling when going around turns; very good fuel economy; quick acceleration; top crash test scores; refined interior with intuitive controls; available hatchback body style; many advanced features are available. Source: Edmunds Mazda Certified Pre-Owned means you not only get the reassurance of a 12mo/12,000 mile Limited Warranty, and up to a 7-Year/100,000 mile Limited Powertrain Warranty, but also a 150-point inspection/reconditioning, 24/7 roadside assistance, and a complete CARFAX vehicle history report. CARFAX One-Owner. Certified. Honda Certified Pre-Owned Details: * Powertrain Limited Warranty: 84 Month/100,000 Mile (whichever comes first) from original in-service date * 182 Point Inspection * Limited Warranty: 12 Month/12,000 Mile (whichever comes first) after new car warranty expires or from certified purchase date * Vehicle History * Warranty Deductible: $0 * Roadside Assistance with Honda Care purchase * Transferable Warranty MP3 CAPABLE, BLUETOOTH, CLEAN CARFAX, *Factory Certified Pre-owned Vehicle!, *Fully Serviced To Current Date and Mileage!, *Non Smoker! Well Cared For & Maintained!, *Rear View Back-Up Camera!. 30/39 City/Highway MPG Awards: * 2015 IIHS Top Safety Pick * 2015 KBB.com Brand Image Awards 2016 Kelley Blue Book Brand Image Awards are based on the Brand Watch(tm) study from Kelley Blue Book Market Intelligence. Award calculated among non-luxury shoppers. For more information, visit www.kbb.com. Kelley Blue Book is a registered trademark of Kelley Blue Book Co., Inc. Prices do not include premium protection package. Based on the excellent condition of this used car, along with the low miles, options and color, this used 2015 Honda Civic LX is in excellent condition and sure to sell fast. 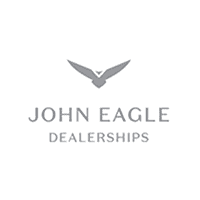 John Eagle Honda of Houston is located off of Highway 290 & West Road and proudly serves Houston TX, Jersey Village, Cypress, Fairfield, Spring, Tomball, Copperfield, Bear Creek, Champions, The Woodlands, Blackhorse, Barker, Alief, Spring Branch, and Memorial. Our goal is to be your primary used car dealership in the greater Houston area.Please print the above vehicle listing to be presented at time of purchase. 2016 CERTIFIED PRE-OWNED READY Mazda Mazda3 i Sport Meteor Gray Mica 4D Hatchback SKYACTIV®-G 2.0L 4-Cylinder DOHC 16V FWD 29/40 City/Highway MPG Certified Mazda Vehicle Inspection, One-Owner, Clean Vehicle History Report, Recent Trade-In, Low Miles, *Blind Spot Technology - Never Worry When Changing Lanes Again!, *Rear View Back-Up Camera!, Mazda3 i Sport, 4D Hatchback, SKYACTIV®-G 2.0L 4-Cylinder DOHC 16V, 6-Speed Manual, FWD, Meteor Gray Mica, Black w/Premium Cloth Seat Trim, 16" Alloy Wheels, 4-Wheel Disc Brakes, Automatic On/Off Headlights, Blind Spot Monitor w/Rear Cross Traffic Alert, Body-Color Power Folding Heated Exterior Mirrors, Exterior Parking Camera Rear, Illuminated entry, Low tire pressure warning, Outside temperature display, Panic alarm, Preferred Equipment Package, Premium Cloth Seats, Rain-Sensing Windshield Wipers, Rear Seat Armrest w/Cupholders, Remote keyless entry, Speed control, Spoiler, Steering wheel mounted audio controls, Telescoping steering wheel, Tilt steering wheel. CARFAX One-Owner. Clean CARFAX. KBB Fair Market Range High: $13,624 http://www.kbbreport.com/f8b6d Awards: * 2016 KBB.com 10 Best Sedans Under $25,000 Reviews: * Precise handling when going around turns; very good fuel economy; quick acceleration; top crash test scores; refined interior with intuitive controls; available hatchback body style; many advanced features are available. Source: Edmunds Mazda Certified Pre-Owned means you not only get the reassurance of a 12mo/12,000 mile Limited Warranty, and up to a 7-Year/100,000 mile Limited Powertrain Warranty, but also a 150-point inspection/reconditioning, 24/7 roadside assistance, and a complete CARFAX vehicle history report. 2016 CERTIFIED PRE-OWNED READY Mazda Mazda3 i Sport Meteor Gray Mica 4D Hatchback SKYACTIV®-G 2.0L 4-Cylinder DOHC 16V FWD 30/40 City/Highway MPG Fresh Detail, Certified Mazda Vehicle Inspection, One-Owner, Clean Vehicle History Report, Low Miles, *Blind Spot Technology - Never Worry When Changing Lanes Again!, *Rear View Back-Up Camera!, Mazda3 i Sport, 4D Hatchback, SKYACTIV®-G 2.0L 4-Cylinder DOHC 16V, 6-Speed Automatic, FWD, Meteor Gray Mica, Black w/Premium Cloth Seat Trim, 16" Alloy Wheels, 4-Wheel Disc Brakes, Automatic On/Off Headlights, Blind Spot Monitor w/Rear Cross Traffic Alert, Body-Color Power Folding Heated Exterior Mirrors, Exterior Parking Camera Rear, Low tire pressure warning, Outside temperature display, Panic alarm, Preferred Equipment Package, Premium Cloth Seats, Rain-Sensing Windshield Wipers, Rear Seat Armrest w/Cupholders, Remote keyless entry, Speed control, Spoiler, Steering wheel mounted audio controls, Telescoping steering wheel, Tilt steering wheel. CARFAX One-Owner. Clean CARFAX. KBB Fair Market Range High: $13,285 http://www.kbbreport.com/eehwe Awards: * 2016 KBB.com 10 Best Sedans Under $25,000 Reviews: * Precise handling when going around turns; very good fuel economy; quick acceleration; top crash test scores; refined interior with intuitive controls; available hatchback body style; many advanced features are available. Source: Edmunds Mazda Certified Pre-Owned means you not only get the reassurance of a 12mo/12,000 mile Limited Warranty, and up to a 7-Year/100,000 mile Limited Powertrain Warranty, but also a 150-point inspection/reconditioning, 24/7 roadside assistance, and a complete CARFAX vehicle history report. 2016 CERTIFIED PRE-OWNED READY Mazda3 i Sport Odometer is 15022 miles below market average! Blue Reflex Mica 4D Sedan SKYACTIV®-G 2.0L 4-Cylinder DOHC 16V FWD 30/41 City/Highway MPG Certified Mazda Vehicle Inspection, One-Owner, Clean Vehicle History Report, Recent Trade-In, Low Miles, Mazda3 i Sport, 4D Sedan, 6-Speed Automatic, FWD, 16" x 6.5J Steel w/Full Wheel Covers Wheels, 4-Wheel Disc Brakes, Exterior Parking Camera Rear, Illuminated entry, Low tire pressure warning, Outside temperature display, Panic alarm, Remote keyless entry, Speed control, Variably intermittent wipers. CARFAX One-Owner. Clean CARFAX. KBB Fair Market Range High: $15,474 http://www.kbbreport.com/5jj2x Awards: * 2016 KBB.com 10 Best Sedans Under $25,000 Reviews: * Precise handling when going around turns; very good fuel economy; quick acceleration; top crash test scores; refined interior with intuitive controls; available hatchback body style; many advanced features are available. Source: Edmunds Mazda Certified Pre-Owned means you not only get the reassurance of a 12mo/12,000 mile Limited Warranty, and up to a 7-Year/100,000 mile Limited Powertrain Warranty, but also a 150-point inspection/reconditioning, 24/7 roadside assistance, and a complete CARFAX vehicle history report. CARFAX One-Owner. Certified. Honda Certified Pre-Owned Details: * Powertrain Limited Warranty: 84 Month/100,000 Mile (whichever comes first) from original in-service date * Vehicle History * Warranty Deductible: $0 * 182 Point Inspection * Limited Warranty: 12 Month/12,000 Mile (whichever comes first) after new car warranty expires or from certified purchase date * Transferable Warranty * Roadside Assistance with Honda Care purchase MP3 CAPABLE, BLUETOOTH, CLEAN CARFAX, *Fully Serviced To Current Date and Mileage!, *Local Trade In - Never a Rental!, *Rear View Back-Up Camera!. Odometer is 4080 miles below market average! 30/39 City/Highway MPG Awards: * 2015 IIHS Top Safety Pick * 2015 KBB.com Brand Image Awards 2016 Kelley Blue Book Brand Image Awards are based on the Brand Watch(tm) study from Kelley Blue Book Market Intelligence. Award calculated among non-luxury shoppers. For more information, visit www.kbb.com. Kelley Blue Book is a registered trademark of Kelley Blue Book Co., Inc. Prices do not include premium protection package. Based on the excellent condition of this used car, along with the low miles, options and color, this used 2015 Honda Civic LX is in excellent condition and sure to sell fast. John Eagle Honda of Houston is located off of Highway 290 & West Road and proudly serves Houston TX, Jersey Village, Cypress, Fairfield, Spring, Tomball, Copperfield, Bear Creek, Champions, The Woodlands, Blackhorse, Barker, Alief, Spring Branch, and Memorial. Our goal is to be your primary used car dealership in the greater Houston area.Please print the above vehicle listing to be presented at time of purchase. 2016 CERTIFIED PRE-OWNED READY Mazda Mazda3 i Sport Meteor Gray Mica 4D Hatchback SKYACTIV®-G 2.0L 4-Cylinder DOHC 16V FWD 30/40 City/Highway MPG Fresh Detail, Certified Mazda Vehicle Inspection, One-Owner, Clean Vehicle History Report, Recent Trade-In, Low Miles, *Blind Spot Technology - Never Worry When Changing Lanes Again!, *Rear View Back-Up Camera!, Mazda3 i Sport, 4D Hatchback, SKYACTIV®-G 2.0L 4-Cylinder DOHC 16V, 6-Speed Automatic, FWD, Meteor Gray Mica, Black w/Cloth Seat Trim or Premium Cloth Seats, 16" Alloy Wheels, 4-Wheel Disc Brakes, Automatic On/Off Headlights, Blind Spot Monitor w/Rear Cross Traffic Alert, Body-Color Power Folding Heated Exterior Mirrors, Exterior Parking Camera Rear, Low tire pressure warning, Outside temperature display, Panic alarm, Preferred Equipment Package, Premium Cloth Seats, Rain-Sensing Windshield Wipers, Rear Seat Armrest w/Cupholders, Remote keyless entry, Speed control, Spoiler, Steering wheel mounted audio controls, Telescoping steering wheel. CARFAX One-Owner. Clean CARFAX. KBB Fair Market Range High: $13,515 http://www.kbbreport.com/0b2mk Awards: * 2016 KBB.com 10 Best Sedans Under $25,000 Reviews: * Precise handling when going around turns; very good fuel economy; quick acceleration; top crash test scores; refined interior with intuitive controls; available hatchback body style; many advanced features are available. Source: Edmunds Mazda Certified Pre-Owned means you not only get the reassurance of a 12mo/12,000 mile Limited Warranty, and up to a 7-Year/100,000 mile Limited Powertrain Warranty, but also a 150-point inspection/reconditioning, 24/7 roadside assistance, and a complete CARFAX vehicle history report. Toyota Certified Used Vehicle. Personal lease.Carfax One Owner, Serviced here, Clean Vehicle History Report, *Rear View Back-Up Camera!, Vehicle Detailed, Passed Dealer Inspection, Corolla LE, 4D Sedan, 1.8L I4 DOHC Dual VVT-i, CVT, 16" x 6.5" Steel Wheels, 6 Speakers, 6.1" Touch Screen, Air Conditioning. 29/38 City/Highway MPG TOYOTA CERTIFIED!! 7 YR/100K WARRANTY!! BUY WITH PEACE OF MIND!! Awards: * 2016 KBB.com Best Buy Awards Finalist * 2016 KBB.com 5-Year Cost to Own Awards Come see why John Eagle Sport City Toyota is one of the best USED CAR DEALERSHIPS IN DALLAS. We are conveniently located at 12650 Lyndon B. Johnson Freeway, Dallas, Tx. 75228 at I-635 and Northwest Hwy, Exit 11B. For the past 27 years we have been proudly serving Dallas, North Dallas, White Rock Lake, Park Cities, Rockwall, Rowlett, Lake Ray Hubbard, Lake Highlands, East Dallas, Mesquite, Sunnyvale, Garland, Sachse, Wylie, Murphy,Terrell, Richardson and Plano. Carfax One Owner, Clean Vehicle History Report, *Rear View Back-Up Camera!, Vehicle Detailed, Passed Dealer Inspection, Corolla LE, 4D Sedan, 1.8L I4 DOHC Dual VVT-i, CVT, 16" x 6.5" Steel Wheels, 6 Speakers, 6.1" Touch Screen, Air Conditioning. 29/38 City/Highway MPG TOYOTA CERTIFIED!! 7 YR/100K WARRANTY!! BUY WITH PEACE OF MIND!! Awards: * 2016 KBB.com 5-Year Cost to Own Awards * 2016 KBB.com Best Buy Awards Finalist Come see why John Eagle Sport City Toyota is one of the best USED CAR DEALERSHIPS IN DALLAS. We are conveniently located at 12650 Lyndon B. Johnson Freeway, Dallas, Tx. 75228 at I-635 and Northwest Hwy, Exit 11B. For the past 27 years we have been proudly serving Dallas, North Dallas, White Rock Lake, Park Cities, Rockwall, Rowlett, Lake Ray Hubbard, Lake Highlands, East Dallas, Mesquite, Sunnyvale, Garland, Sachse, Wylie, Murphy,Terrell, Richardson and Plano. Certified. Priced below KBB Fair Purchase Price! CARFAX One-Owner. Cloth. Odometer is 8107 miles below market average! 27/36 City/Highway MPG Honda Certified Pre-Owned Details: * 182 Point Inspection * Roadside Assistance with Honda Care purchase * Transferable Warranty * Powertrain Limited Warranty: 84 Month/100,000 Mile (whichever comes first) from original in-service date * Limited Warranty: 12 Month/12,000 Mile (whichever comes first) after new car warranty expires or from certified purchase date * Vehicle History * Warranty Deductible: $0 Awards: * 2015 IIHS Top Safety Pick * 2015 KBB.com Brand Image Awards 2016 Kelley Blue Book Brand Image Awards are based on the Brand Watch(tm) study from Kelley Blue Book Market Intelligence. Award calculated among non-luxury shoppers. For more information, visit www.kbb.com. Kelley Blue Book is a registered trademark of Kelley Blue Book Co., Inc.
Toyota Certified Used Vehicle.Carfax One Owner, Clean Vehicle History Report, TOYOTA SAFETY SENSE PKG, *Rear View Back-Up Camera!, Vehicle Detailed, Passed Dealer Inspection, Corolla LE, 4D Sedan, 1.8L I4 DOHC Dual VVT-i, CVT, 6 Speakers, Air Conditioning, AM/FM radio, Wheels: 16" x 6.5" Wide Vent Steel. 28/36 City/Highway MPG TOYOTA CERTIFIED!! 7 YR/100K WARRANTY!! BUY WITH PEACE OF MIND!! Awards: * 2017 KBB.com 10 Best Sedans Under $25,000 * 2017 KBB.com 5-Year Cost to Own Awards * 2017 KBB.com 10 Most Awarded Brands * 2017 KBB.com Best Resale Value Awards Come see why John Eagle Sport City Toyota is one of the best USED CAR DEALERSHIPS IN DALLAS. We are conveniently located at 12650 Lyndon B. Johnson Freeway, Dallas, Tx. 75228 at I-635 and Northwest Hwy, Exit 11B. For the past 27 years we have been proudly serving Dallas, North Dallas, White Rock Lake, Park Cities, Rockwall, Rowlett, Lake Ray Hubbard, Lake Highlands, East Dallas, Mesquite, Sunnyvale, Garland, Sachse, Wylie, Murphy,Terrell, Richardson and Plano. 2016 CERTIFIED PRE-OWNED READY Mazda Mazda6 i Touring Soul Red Metallic 4D Sedan SKYACTIV®-G 2.5L I4 DOHC 16V FWD 26/38 City/Highway MPG Certified Mazda Vehicle Inspection, One-Owner, Non-Smoker, Garage-Kept, Clean Vehicle History Report, *Blind Spot Technology - Never Worry When Changing Lanes Again!, *Rear View Back-Up Camera!, Mazda6 i Touring, 4D Sedan, SKYACTIV®-G 2.5L I4 DOHC 16V, FWD, Sand w/Leatherette Seat Trim, 19" Alloy Wheels, 4-Wheel Disc Brakes, Blind spot sensor: warning, CD player, Delay-off headlights, Exterior Parking Camera Rear, Front dual zone A/C, Illuminated entry, Leatherette Seat Trim, Low tire pressure warning, MP3 decoder, Outside temperature display, Panic alarm, Power driver seat, Reclining Front Sport Bucket Seats, Remote keyless entry, Speed control, Steering wheel mounted audio controls, Telescoping steering wheel, Tilt steering wheel, Turn signal indicator mirrors. CARFAX One-Owner. Clean CARFAX. KBB Fair Market Range High: $17,062 http://www.kbbreport.com/br6hn Awards: * 2016 KBB.com Best Buy Awards Finalist Reviews: * When function and form are treated as one, engineering is elevated to an art form. The Mazda6 is the product of engineer and designer working in unison, daring to reimagine the automobile as a whole. It is the true definition of the modern sports sedan. The 2.5L SKYACTIV-G gasoline engine pushes the boundaries of innovation even further. Mazda engineers increased its torque output to 185 lb-ft, all without compromising fuel efficiency. Combine it with the ultra-responsive 6-speed SKYACTIV-MT manual or the smooth 6-speed SKYACTIV-Drive Sport automatic transmission and the result: 184 horsepower and an astounding EPA-estimated 38 MPG hwy (Up to 40 MPG hwy with Grand Touring 2.5L with AT and Technology Package). It all begins when you slide into the luxurious driver's sport seat and fire up with the push button start. With Mazda's newly available Commander Switch, you can control the available navigation system, sound system and Bluetooth phone and audio streaming conveniently from the center console. Other available features include leather trimmed upholstery and heated sports seats. The available fully integrated navigation system with a 7-inch touch-screen display features intuitive voice recognition. Crisp, immersive sound is delivered through an available 11-speaker Bose Centerpoint Surround Sound System with AudioPilot ambient noise compensation technology. With the SKYACTIV-Body, SKYACTIV-Chassis and intuitive safety technologies, Mazda6 is built to protect. Safety features include six standard airbags, should the airbags deploy standard E911 notification uses Bluetooth and your paired phone to call 911 automatically. Available Blind Spot Monitoring uses motion-detecting technology to scan your blind spots. Source: The Manufacturer Summary * Smooth and responsive powertrain; quick acceleration; excellent fuel economy; sporty handling; well-built interior with top-quality materials; stylish looks. Source: Edmunds Mazda Certified Pre-Owned means you not only get the reassurance of a 12mo/12,000 mile Limited Warranty, and up to a 7-Year/100,000 mile Limited Powertrain Warranty, but also a 150-point inspection/reconditioning, 24/7 roadside assistance, and a complete CARFAX vehicle history report. Blue Tooth, CARFAX One Owner, *Best Color For Resale, *Bought Here, Serviced Here, We Have All Records!, *Factory Certified Pre-owned Vehicle!, *Manager Special - PRICE NOT A MISPRINT - THIS MONTH ONLY! !, *Rear View Back-Up Camera!, *Remainder Of Factory Warranty Still Applies!, *We Deliver Anywhere!, Recent Oil Change!, Vehicle Detailed!, Passed 172 Point Honda Certified Inspection!. Clean CARFAX. Certified. Honda Certified Pre-Owned Details: * Transferable Warranty * 182 Point Inspection * Limited Warranty: 12 Month/12,000 Mile (whichever comes first) after new car warranty expires or from certified purchase date * Warranty Deductible: $0 * Powertrain Limited Warranty: 84 Month/100,000 Mile (whichever comes first) from original in-service date * Vehicle History * Roadside Assistance with Honda Care purchase CARFAX One-Owner. 2016 Honda Fit EX 32/38 City/Highway MPG Click here! Call here! Get here!! Pricing for a LIMITED time only! Honda Cars of Rockwall proudly serves the following communities: Houston, Rockwall, Heath, Fate, Royse City, Quinlan, Terrell, Kaufman, Greenville, Forney, Sunnyvale, Balch Springs, Mesquite, Garland, Rowlett, Richardson, Plano, Allen, Fairview, McKinney, Princeton, Frisco, Farmersville, Dallas, DFW Metroplex and so many more! Honda Cars of Rockwall 1550 E I-30 Rockwall, TX. 75087 ( www.hondacarsofrockwall.com ) Dealer Prep Costs are additional and financing with dealer preferred lender is required for online pricing. All website pricing excludes D&H of $895 for Cars/$995 SUVs & PickupS.